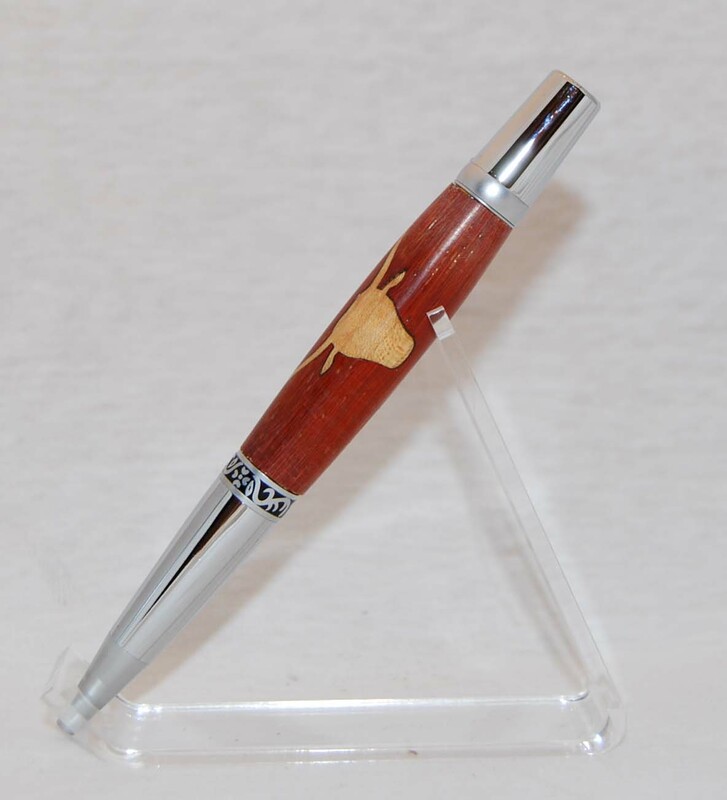 2 longhorn pens on sage orange background. Made with a chrome wall street 2 twist pen kit. 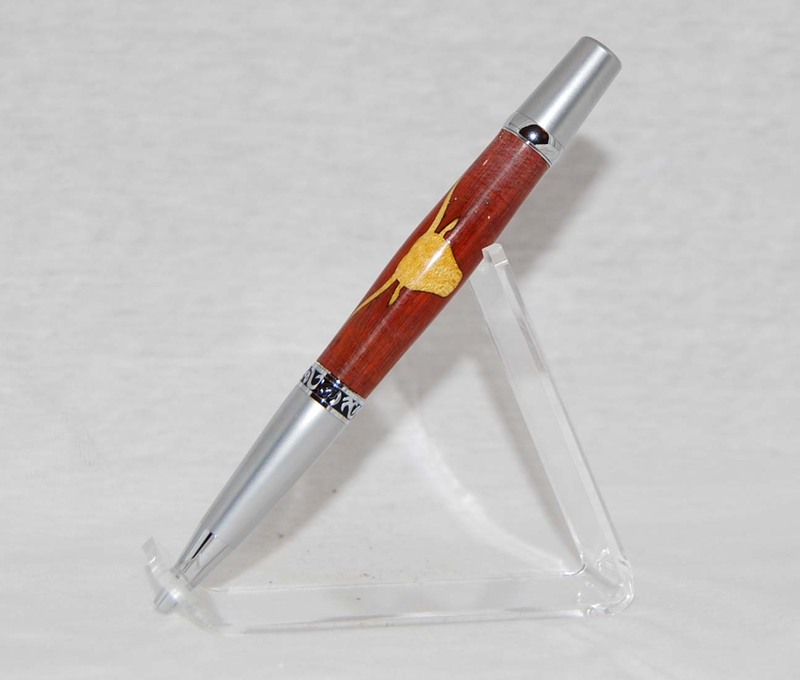 A very nice pen for someone in your life. It takes a parker pen refill, that is easy to fine. You can also get this in gun metal, 24kt gold, copper and black.